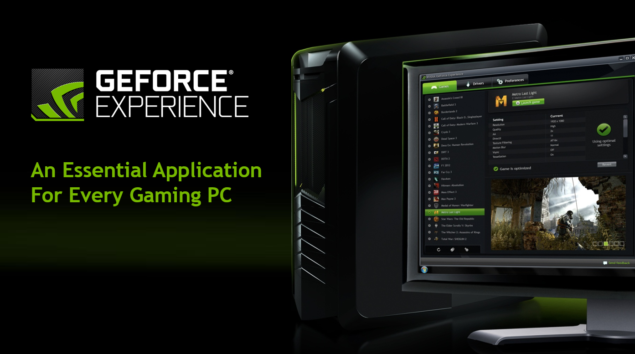 NVIDIA has released an updated version of the GeForce Experience that is said to fix the issues with the built-in streaming service that caused a noticeable performance drop. The GeForce Experience has been updated to take care of the performance issues related to the built-in streaming service. Six days ago we reported that there seemed to be issues with the performance of NVIDIA cards related to the Shield Streaming service and how it was enabled by default and even had to be disabled external to the application by going through Windows itself. That issue was noted by NVIDIA and has now been fixed in a recent update to their GeForce Experience. This update, then, seems to focus solely on the issues that were discovered with framrates due to the aforementioned issue. So if you haven’t been prompted to already, you can go ahead and either update from within GeForce Experience or download the update here.